The Honda Racing team is back in action this weekend at Oulton Park in Cheshire for the ninth round of the MCE British Superbike Championship and the first triple-header event of the year. The round is also the last chance for Honda’s Dan Linfoot to secure a spot in the all-important Showdown. Bad luck and technical gremlins prevented Linfoot from showing his true potential aboard the Honda CBR1000RR Fireblade during the previous outing at Cadwell Park, something he’s looking to rectify this weekend. 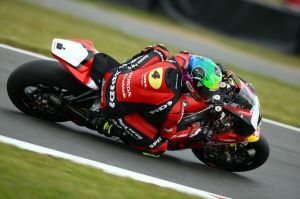 Linfoot, 27, arrives at the 4.332km Cheshire track for the first time this year, after missing the previous round due to injury. The Honda rider is just 21 points outside of the top-six and has his sights firmly set on pushing through and securing a spot in the Showdown. 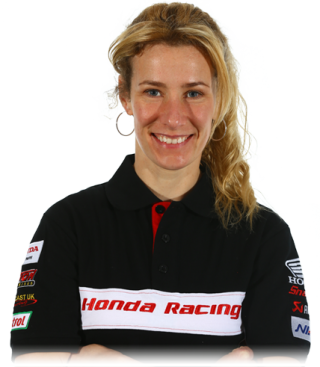 Meanwhile team-mate Jenny Tinmouth is looking forward to securing more top-25 finishes after placing 22nd and 20th aboard her CBR machine at the last round. The only female competitor in the series, Tinmouth has made huge progress and looks forward to returning to her home circuit. Honda Endurance Racing’s Julien Da Costa, who’s standing in for injured Jason O’Halloran, will join the Honda Racing squad this weekend and completes the Honda trio. "This round is so important as it’s the last one before the Showdown and my final chance to get a place. So my aim for the weekend is simple, get enough points and sneak in! Obviously a place depends on a lot of factors, my targets are Michael [Laverty] and Stuart [Easton] but it’s so important for me to get my head down, get stuck in and collect some solid points. I am heading into the weekend hoping to achieve some strong results, I know what I’m capable of after being on the podium last year and know what the CBR’s capable of, so it’s now down to me to make it happen!" "I’m really excited to be back at my home circuit again this weekend! We had a really positive last outing at Cadwell Park so really looking forward to seeing what we can do at Oulton. All the hard work we’ve put in this season is really starting to pay off and I’m breaking my personal bests, so long may that continue. The aim for this weekend is to finish all three races and to be in the top-25. It’s all going in the right direction so looking forward to getting out in Friday’s first practice." 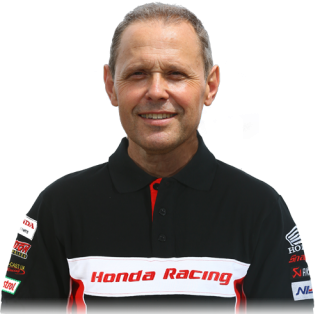 "I’m very happy to be riding in the British Superbike championship again this weekend and hope to do a good job for Jason and the Honda team. Oulton Park is a great circuit, but probably one of the most difficult tracks in the championship, but I’m looking forward to getting out on the Fireblade in Friday’s practice. We can use this opportunity to try some different settings on the CBR and also continue the development work of the Fireblade, and hopefully be able to help Dan secure a place in the Showdown!"